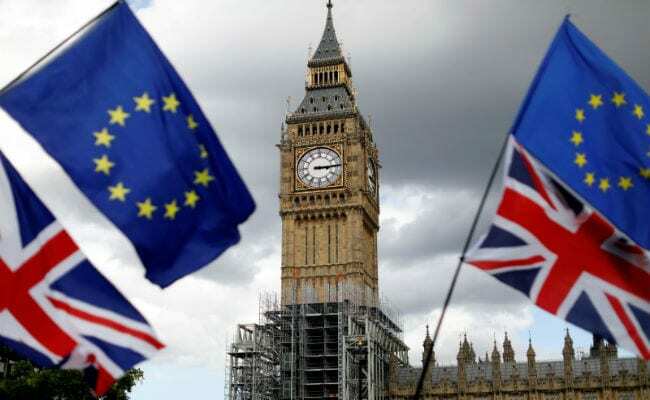 London: British MPs voted in favour of a bill Tuesday to end Britain's EU membership, a key moment for the government's Brexit strategy despite opposition accusations of an unprecedented power grab. It is the next step in implementing last year's historic referendum vote to leave the EU, after Prime Minister Theresa May formally notified Brussels of Britain's withdrawal in March. May's Conservative government won Tuesday's parliamentary vote thanks to its alliance with the Northern Ireland's Democratic Unionist Party (DUP). "It pretends to bring back power to this country, but it actually represents the biggest peace time power grab by the executive over the legislature, by the government over parliament, in 100 years," he told parliament. A total of seven Labour MPs however rebelled against the party line and backed the bill. Although the legislation has passed its first test, Conservative MPs have warned they could seek to amend the bill as it comes under further scrutiny in the coming weeks, amid concerns about its constitutional implications. While most MPs have accepted that Brexit will happen, the shape of the European divorce remains unclear and May has been under pressure from all sides after losing her parliamentary majority in the June snap election. The government plans to leave Europe's single market and customs union after Brexit but is seeking a transitional deal that would replicate existing arrangements until it agrees a new trade deal with the EU. Labour wants to remain in the single market during the interim period following Brexit day, currently set for March 29, 2019, while a eurosceptic group of Conservatives is pressing May to make a clean break. Such issues will need to be agreed with the EU, and the Repeal Bill does not propose any changes in policy. But it does give ministers the power to implement the final Brexit deal without full parliamentary debate. "It would be ministers who decided our new trade arrangements, customs arrangements and immigration rules, any deal on citizens' rights and much else," Labour Brexit spokesman Keir Starmer wrote in the Sunday Times newspaper. Labour and trade unions also fear ministers may seek to change EU regulations on the environment and workers' rights as they transfer them into UK law. "We are seriously concerned that the power-grab embodied in the bill will end up with worker's rights being watered down," Frances O'Grady, head of the Trades Union Congress umbrella body, told AFP. Brexit Secretary David Davis denies this, saying the bill is a "pragmatic and sensible" way to deal with the huge amount of EU legislation that must be incorporated into British law. "Without it, we would be approaching a cliff-edge of uncertainty which is not in the interest of anyone," he said.